Combining the words most sophisticated products and leading technologies, ATL is one of the best in the industry. PCR achieve an optimized energy transfer and rapid ramping rate with advanced platter technology and precise machine sample block of aluminum alloy. 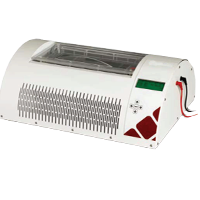 Precise multi zone temperature control implements the excellent uniformity. All devices have a built in 2-in-1 combo â€“ block makes it easier to adopt all kinds of tubes, strips and plates for experiments. It also helps to maximize the potential of the step less adjustable heated-lid. There is no need to interchange the block, which saves costs and avoids any breakdown. Polymerase Chain Reaction(PCR)is an important tool for the detection of DNA and Rl\lAwith applications across all Biotechnology / Molecular Biology research, including forensics, gene expression, identification and discovery. Traditional PCR has relied on Agorose gel-based end point detection oithe reaction, in the plateau phase.This has been time consuming, not very precise and with a degree of sample to samples variability. 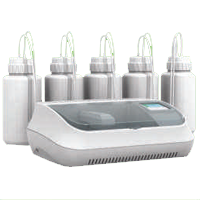 Real time PCR combines the amplification and detection steps into one single procedure, saving time. 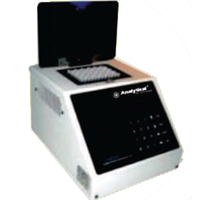 Real time PCR measures sample during the Exponential phase of the PCR reaction and produces results while the reaction is in progress. This achieves detection accuracy from very low initial concentrations of starting material. RealTime PCR is sufficiently sensitive to detect as low as zefold changes, allowing discrimination in yields that are not possible to achieve with Agarosegels. 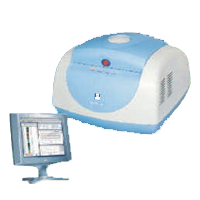 Automated Amino Acid Analyzer:Automated Amino Acid Analysis by NIN Hydrin Method of Post Column derivatisation. 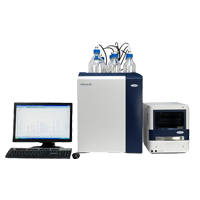 High Sensitivity and High resolution is achieved for Amino Acids. 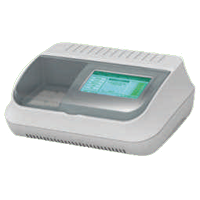 ElectroCHROM ORIGINS revolutionizes submarine electrophoresis for DNA/RNA analysis and purification. Copyright (c) 2012 Analyticalgroup.net, All rights reserved. Design by Analytical Group of Companies.